Originally four apartments during the 1920s, this 1880s terrace home in Sydney’s Paddington was renovated recently into what is now a grand and generous family home. 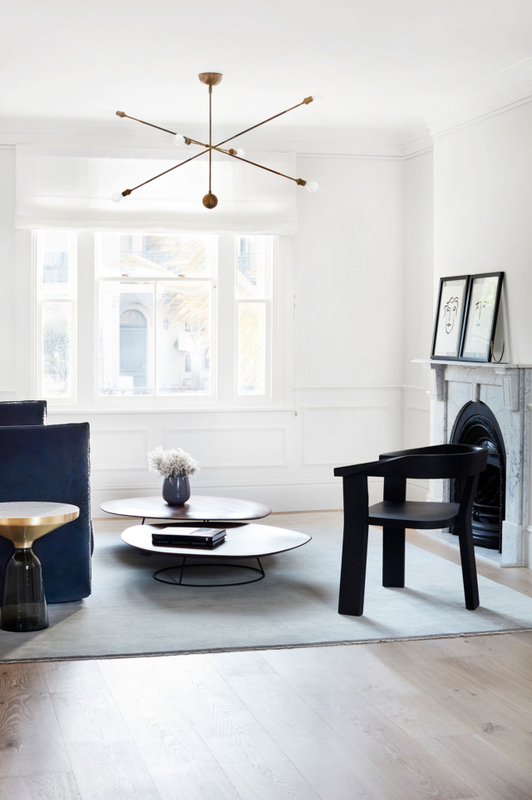 “The challenge was to unify the spaces, creating an elegant, beautifully detailed, yet functional home, that balanced modern living within the heritage context,” says the project’s designer Megan Burns of C+M Studio. The staircase and lounge room – what a beautiful space! Central to the unification was the use of a series of elegant Intrim mouldings – a nod to the building’s past. “We used the Intrim mouldings predominantly in the formal living zone of the house. We designed the panelling on the walls to create a definitive contrast between the old and new zones of the house. 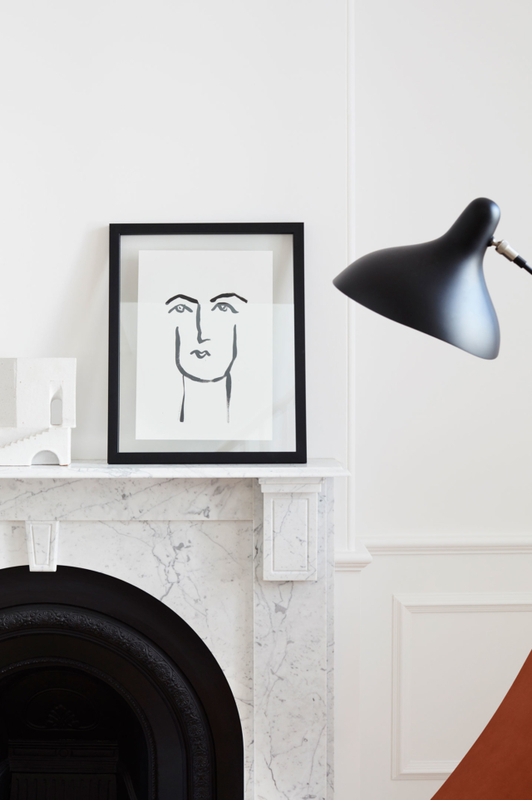 While the home has a unified palette, that wall detailing allowed a subtle nod to the grand heritage of the home. It really does evoke a feeling of grandeur in the space,” says Megan. Overall, the home has an elegant, restrained palette with warmth provided by key textural details. 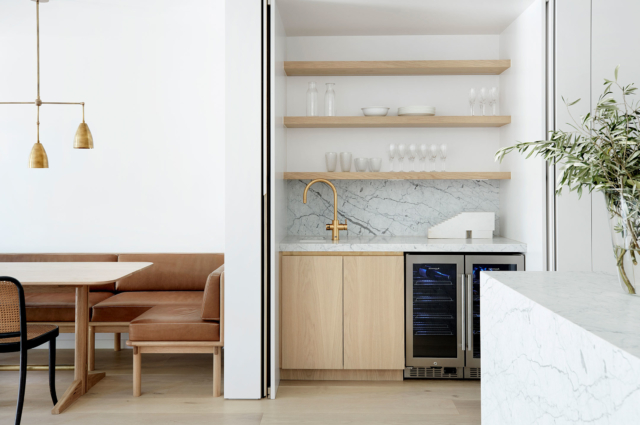 “We used a simple palette of oak, brass and marble. 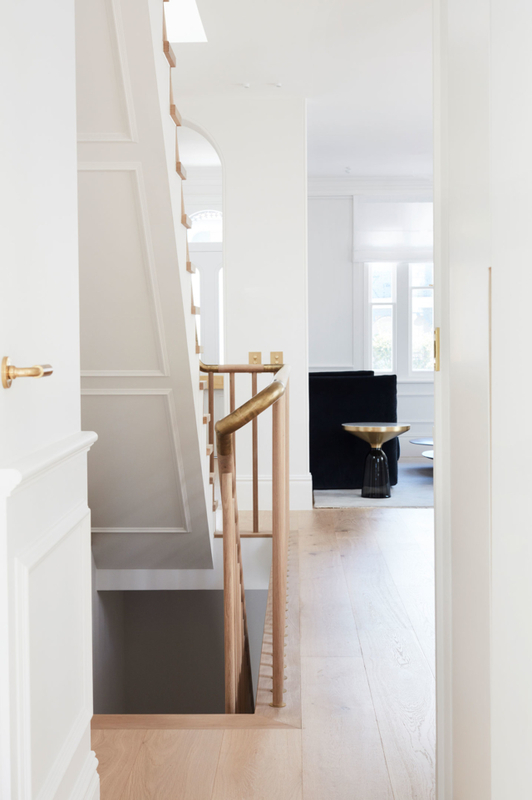 We consistently used these materials throughout working on bespoke detailing to create interesting moments as you move around and enjoy the spaces,” says Megan. 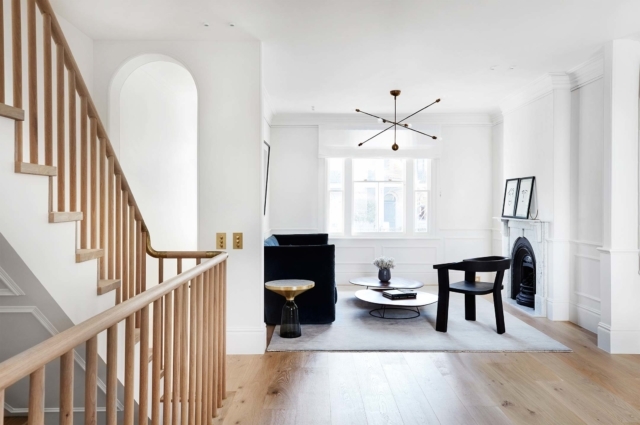 Mouldings aside, another notable design element is the home’s gorgeous solid oak staircase. 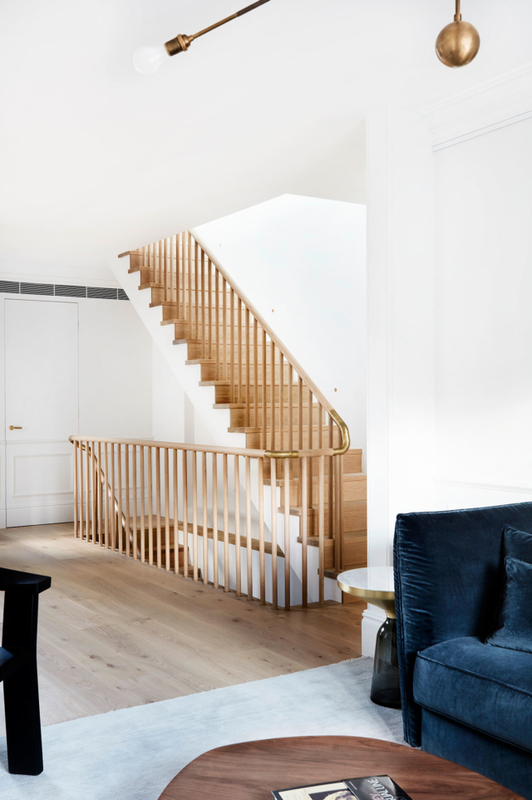 “We wanted an elegant stair that had elements of heritage about it, so went with quite a traditional nosing detail. Then we decided to pair that with a more contemporary balustrade with solid oak and brass details. The tactile nature of the balustrade with the beautiful grain of the oak is finished in a way to keep as much of the natural quality of the timber as possible. The pops of brass at the turns, which are so soft and undulating, just add to the whole experience of moving through the home,” says Megan.